Cumulative traffic aboard Ukrainian carriers grew 13.4% at the end of the first quarter of 2016, according to Ukrainian aviation authorities. Almost 1.3 million passengers used the services of the local operators from January to March. International traffic grew 8.7% to 1.1 million passengers. 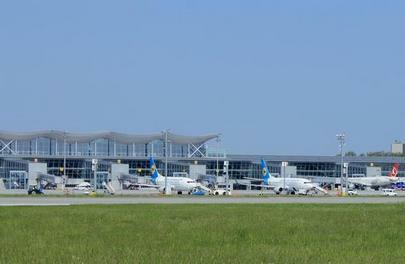 The country’s largest carrier, Ukraine International Airlines, has not reported its first quarter traffic figures yet. At the end of 2015, its market share stood at 77%. The number of passengers served by the Ukrainian airports in the first quarter increased by 9% and reached 2.2 million people. Traffic on international routes grew 5.6% to 1.9 million passengers. Ukraine’s largest airport, Kyiv’s Boryspil, was ahead of the rest with 12% growth—1.51 million passengers against 1.348 million for the same period last year. Its market share has grown to 70%, up from last year’s 68%. In 2016 so far, Ukrainian airlines’ traffic continues to climb after a 3% decline at the end of 2015.